I recently stumbled across the website www.iheartfaces.com and found it to be a useful place to learn more about the art of photography. They do a weekly challenge so I have decided to enter them just for fun! This week's challenge is "all about babies"...right up my alley because I love, love, LOVE photographing babies from newly born dreamers to feisty little crawlers! 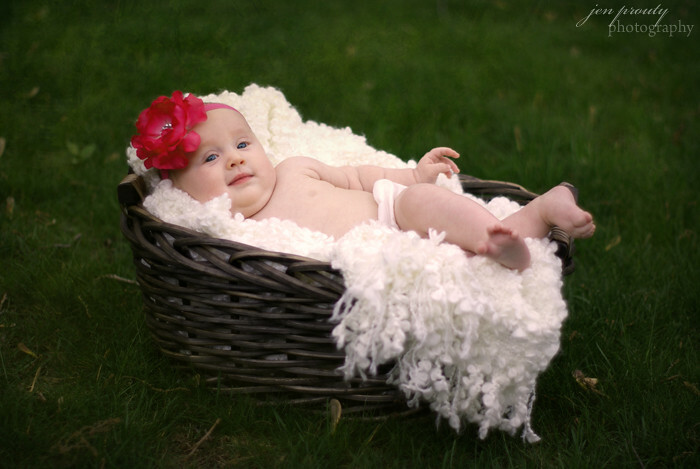 The hardest part about this week's challenge for me was narrowing it down to only one submission.....every baby I have ever photographed is ADORABLE! I finally decided upon Alexandra.....I just love this capture of her in the basket...she truly was as content that day as she looks!